The digital security specialist has developed an NFC card emulation solution that fits within a standard SIM form factor, allowing NFC to be added to any mobile phone. 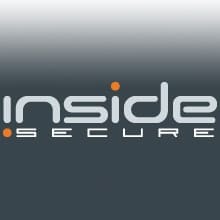 Inside Secure has developed an NFC-on-a-SIM solution that overcomes interference and shielding issues and allows the controller, secure element and — importantly — the antenna to fit within a SIM in an ordinary mobile phone. The patented technology behind the development offers significant improvements over conventional NFC core technology, says the company, giving four centimetre or greater contactless read distance in a mobile device with an antenna footprint of less than one square centimetre. The technology will allow the creation of new products in SIM and microSD form factors for use in legacy mobile devices, says Inside’s Charles Walton. “This breakthrough technology provides a means of bringing NFC services to markets that might otherwise not be immediately reachable through smart phone sales, such as in Brazil, India and African countries, or for any market with a large installed base of legacy mobile phones,” he explains. Additionally, the solution’s compactness opens up opportunities for it to be incorporated in other devices and form factors. “The patented Inside innovation enables the creation of new products with very small antennas, less than one square centimeter,” says chief innovation officer Bruno Charrat. The core technology underpinning the development is expected to feature in multiple new NFC products in 2012 and 2013, from both Inside Secure and its partners.